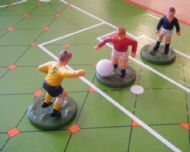 A lovely German game that is simple and very appealing with lovely miniature figures. 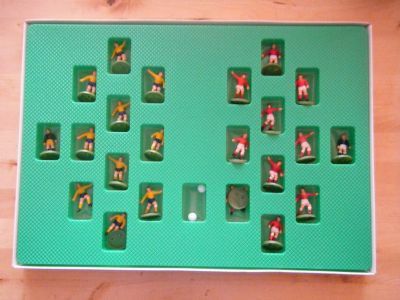 Based on the usual grid pitch and player figures moved using a dice. Hugely enticing and colourful box. 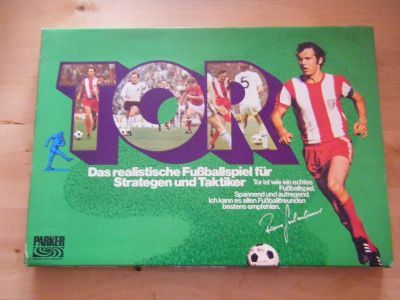 The game is missing one player base and the instruction sheet. 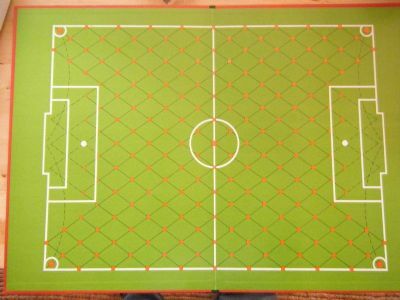 A large cardboard pitch with a diamond grid across it. 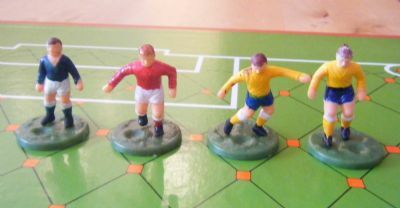 Two lovely moulded plastic teams. Numbered players and space on the bases to hold the ball. Abasic red and white team and a much nicer yellow and blue team included.